of knowledge in the marine sector. tonne and 1800 tonne slipways. Roberts and the team will make your stay at Riverside Drive Riverside Drive Marina, Haulout and Hardstand. many fine yachts for overseas and local clients built in this yard. of handling up to 10 metre beam. The Oceania Marine shipyard is located in Port Whangarei. It provides refit, repair and construction services to the superyacht industry of the highest international standard utilising the legendary skills of the New Zealand marine industry. The shipyard has a high degree of flexibility in that it can undertake multiple projects with a full range of options available ranging from refit berths or hardstand to modern fully equipped refit and construction sheds. engineers, fibreglass and osmosis repairs (hull peeling). 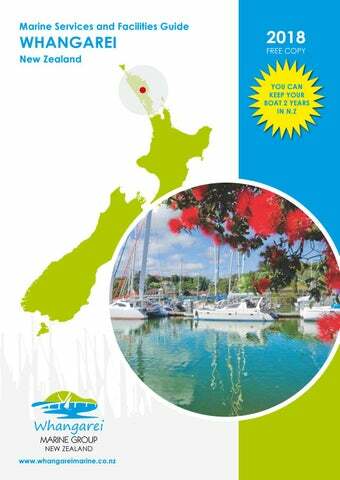 Harbour, and close to New Zealand’s Northern most city, Whangarei. You will be welcomed to Dockland 5 Services Ltd by manager and host Charlie Greenaway. Operating as an independent company within the Dockland 5 complex, we are haulout and hardstanding professionals. Our mission is to provide maximum vessel safety and personal security while maintaining a friendly happy atmosphere.